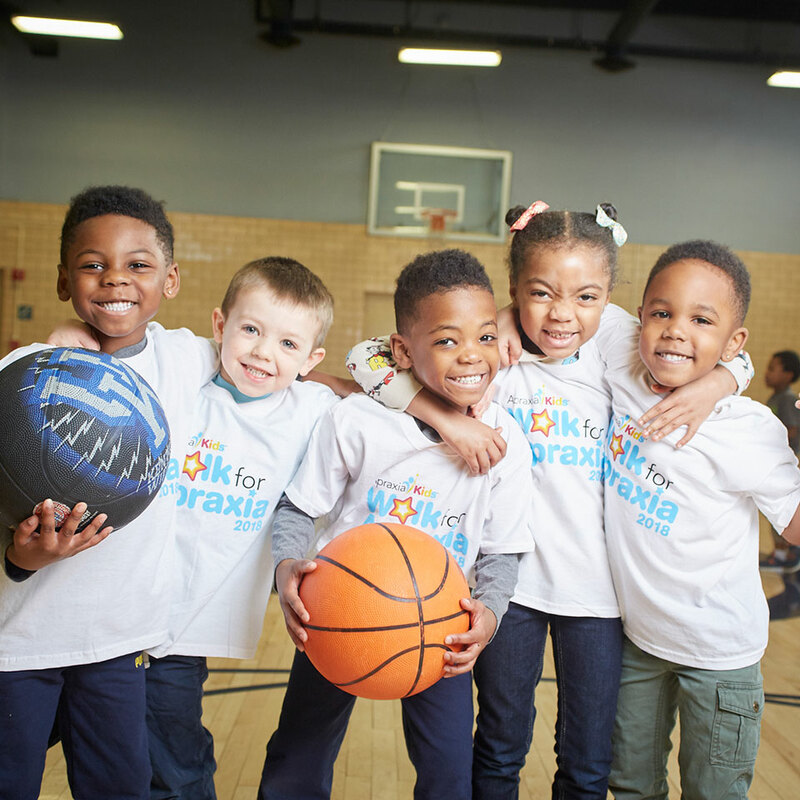 Apraxia Kids is the leading nonprofit that strengthens the support systems in the lives of children with apraxia of speech. Since our inception in 2000, Apraxia Kids has provided support to more than 100,000 families and professionals. A world where every child with apraxia of speech reaches their highest communication potential through accurate diagnosis and appropriate timely treatment. Every child deserves a voice. 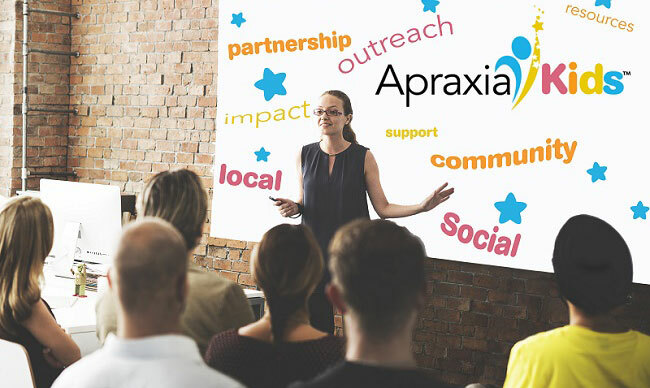 Apraxia Kids is the leading nonprofit that strengthens the support systems in the lives of children with apraxia of speech by educating professionals and families; facilitating community engagement and outreach; and investing in the future through advocacy and research. Each year has been an opportunity to further raise awareness of childhood apraxia of speech. Apraxia Kids is the leading organization in Apraxia education and support for both families and speech-language professionals worldwide. We need to work across all regions to build awareness of our organization so that every family impacted by childhood apraxia of speech is supported. When we were founded in 2000, we had no idea that there were so many children in need of an organization that was dedicated to helping children with apraxia. Our organization was established by 3 moms in Pittsburgh, dedicated to improving the lives of their own children struggling with CAS, and the lives of others facing similar struggles. What started as an online discussion group quickly evolved into a network of support that extended across the country and across the world. Our Online Support Groups now provide resources to over 25,000 parents and professionals. Over the years, the one thing that has always stayed the same is our commitment to educating parents and professionals. We know that the most valuable resource we can provide is evidence-based information on childhood apraxia of speech. Our Online Webinars ensure that professionals have easy access to this information to further their knowledge of CAS, regardless of their location. Information on childhood apraxia of speech is available in our Article Library, which covers a variety of topics and continues to grow. Over half a million viewers access our website each year, spreading knowledge on childhood apraxia of speech. For more than 10 years, our organization has seen parents and professionals come together to learn at our National Conference. 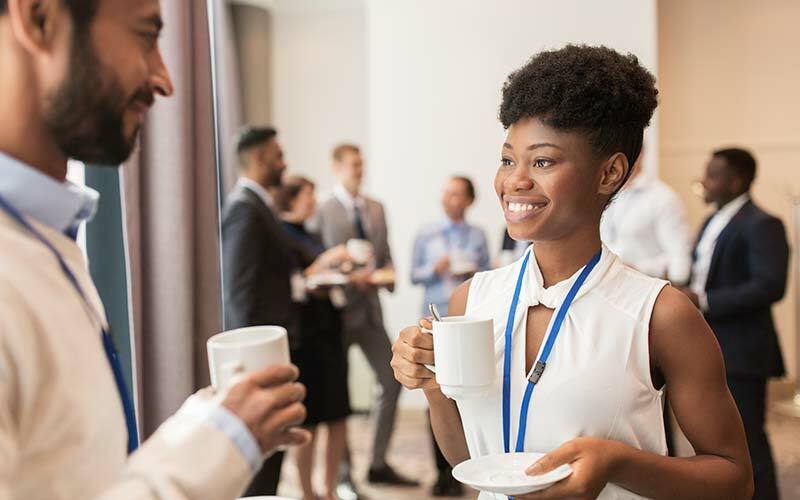 This unique 3-day event is the cornerstone of everything we do – it brings together parents and professionals for a weekend of education and support. Since our first conference in 2004, we have educated over 3,500 people and awarded over 300 scholarships to attend. Our organization continued to grow when we realized we could better serve professionals by providing intensive training to speech-language pathologists across the country. Our Intensive Training Institute began in 2011, and since then, over 100 SLPs across the country have received this highest level of training on evaluating and treating children with apraxia. 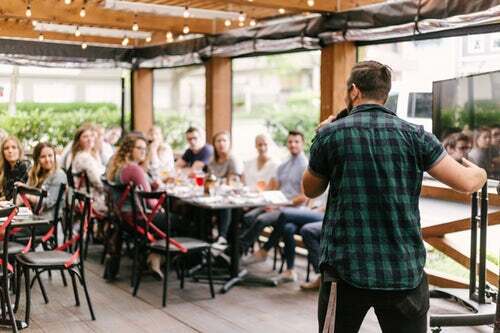 These passionate and enthusiastic professionals have gone on to educate other professionals in their community, increasing families’ access to an appropriately trained SLP. Each year has been an opportunity to further raise awareness of childhood apraxia of speech. We continue to celebrate children with apraxia of speech each year, and recognize them for their hard work. In May, we celebrate Apraxia Awareness Month, where our community seeks to educate others on childhood apraxia of speech. 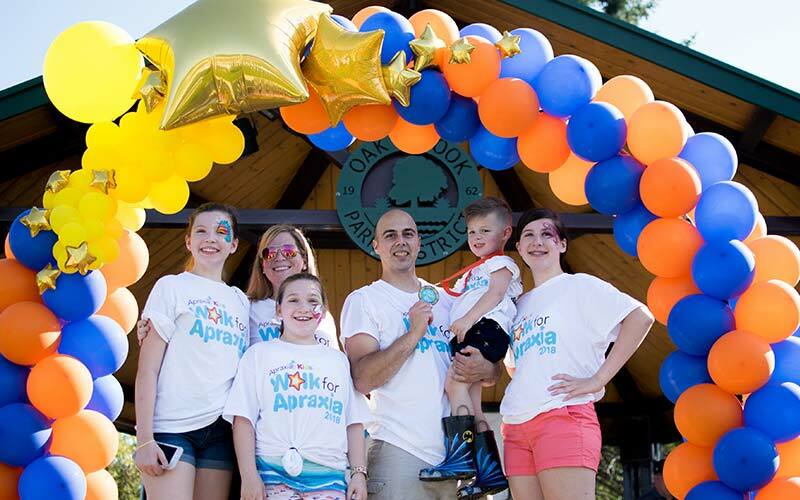 Our Walk for Apraxia began in 2008 as a way to publicly show support for our stars! 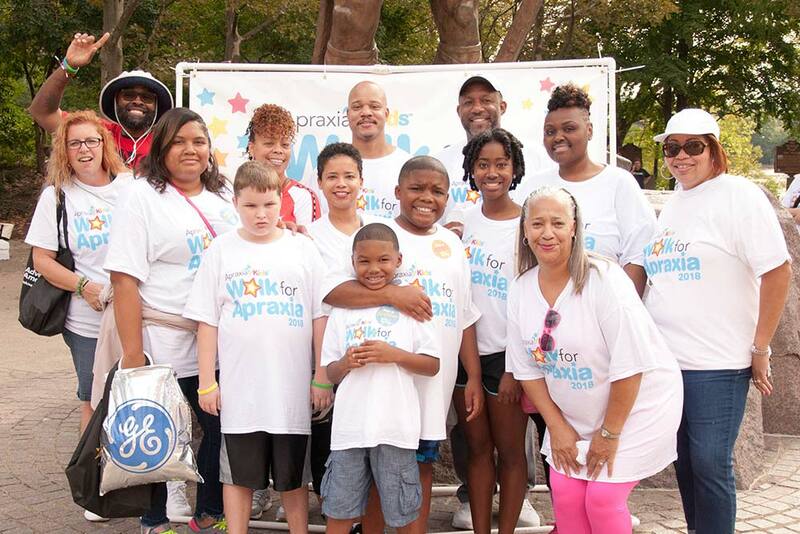 Since then, over 94,000 walkers have honored over 7,500 children with apraxia at 643 walks! Volunteer Outreach remains a critical component of our organization. Working together, we provide access to appropriate and dependable resources, to ensure every child with apraxia of speech is afforded their best opportunity to develop optimal communication skills. Throughout our history, we’ve worked towards a single purpose: improving the support systems in the lives of children with apraxia. 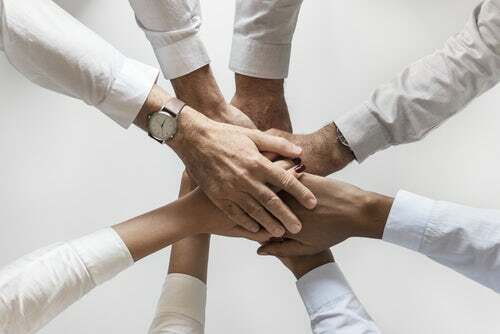 To help us achieve our goals, we rely heavily on the support of our families and professional community who are impacted. Since our founding, the unwavering dedication of our volunteers has helped our mission come to life, and continues to help us grow. We cannot thank them enough for their continued commitment. Our programs and services would not be possible without the generosity of donors who believe in our work and care about our mission. Thank you! Angela Grimm is the Executive Director of Apraxia Kids. 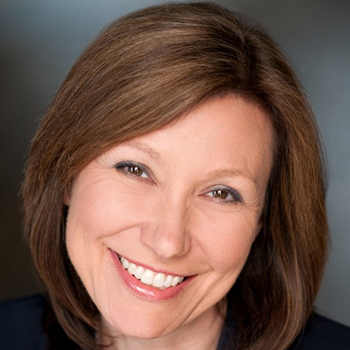 Through her 27-year career in the non-profit sector, she has continually built valuable relationships between organizations and key constituents to further the mission of the organizations she has been a part of. 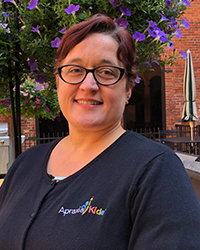 As our Executive Director, Angela is working to grow the footprint of Apraxia Kids to serve more families impacted by childhood apraxia of speech. Heather has nearly 20 years of experience working for large non-profits in Pittsburgh in support and marketing positions. Heather’s role at Apraxia Kids is to oversee daily processes that ensure the office runs smoothly. 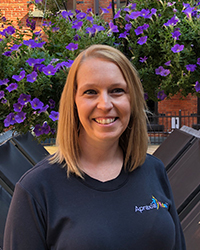 From answering phones, processing donations and invoices, to assisting with Board of Directors and Committee work, Heather is the point person for all things administrative at Apraxia Kids. 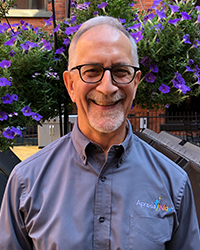 Dave spent 35 years as a pediatric speech-language pathologist (SLP) with Children’s Hospital of Pittsburgh before joining the Apraxia Kids staff in 2014. 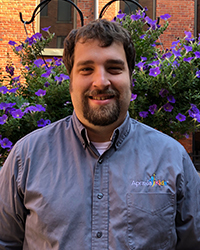 As the only SLP on staff, his roles are to oversee the programs supported by funds raised through the Walk for Apraxia and other resources, to foster new program development, to provide workshops as requested, and to oversee the functions of the Professional Advisory Council. Justin has over 15 years in community settings between the non-profit and the educational sectors. His role is to create a consistent flow of information connecting volunteers and staff across our network. He works to engage our parent and professional community within and outside the organization. Chrissy graduated from Mercyhurst University and brought 10+ years of administration experience to the team when she became the program assistant in the summer of 2018. 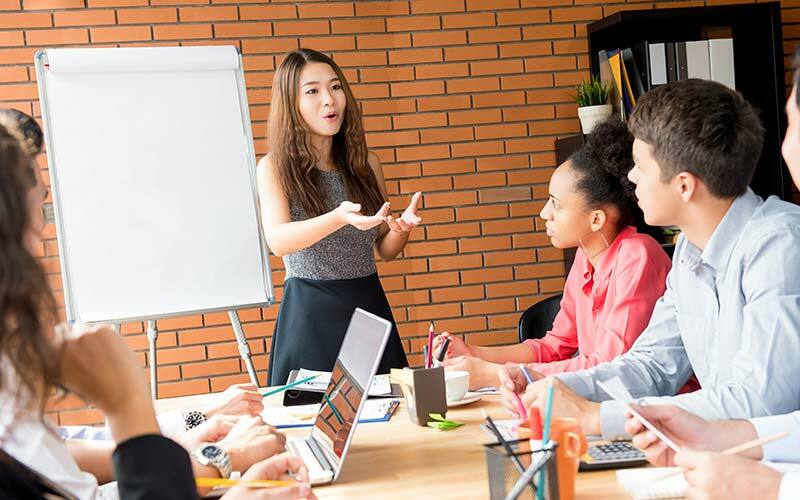 Her role includes supporting and guiding many of the programmatic aspects within the organization including the National Conference, the Speech-Language Pathologist directory, and educational programs. 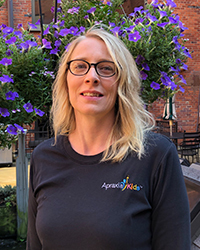 Chrissy’s duties within her role provide an essential connection between parents and professionals, which contributes to advancing the mission of Apraxia Kids. Rachael holds a graduate degree in Nonprofit Management from Regis University and has an extensive professional background in nonprofit organization management. 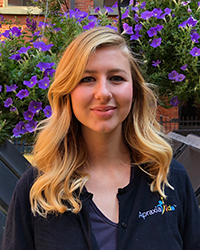 Rachael’s role at Apraxia Kids is to oversee our outreach efforts by building a network of volunteers and engagement initiatives aimed to increase awareness about childhood apraxia of speech as well as the organization’s mission. 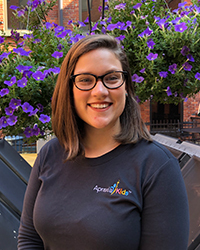 Rachael manages our Volunteer Outreach Coordinator program and supports them in building relationships with parents, speech-language pathologists, and other groups in support of the work of Apraxia Kids. Tara came to Apraxia Kids with 18 years of experience in the public sector in community and educational settings. Her role is to oversee the Walk for Apraxia and to provide support for volunteer walk coordinators. She works to build community at the local level while raising funds to support the organization’s efforts. Carly is a graduate of Clarion University of Pennsylvania and has nearly 10 years of experience working in event administration and planning. Her role at Apraxia Kids is to guide and develop the Walk for Apraxia and to support volunteer walk coordinators and planning teams. She works to build community connection and awareness on the local level as well as bolster fundraising efforts to support the organization’s mission. Amy has 15 years of experience from various administrative and creative-driven positions that highlighted relationships with clients, volunteers, and the community. Her role is primarily to support the planning and implementation of the annual Walk for Apraxia events. She works as a member of the development team to support all aspects of fundraising within the organization. She is a proud parent of a child with childhood apraxia of speech. 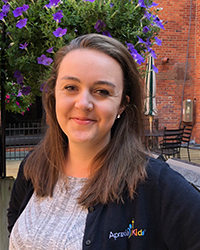 A graduate of the Graduate School of Public and International Affairs at Pitt, Molly has spent many years working on nonprofit strategy and fundraising. 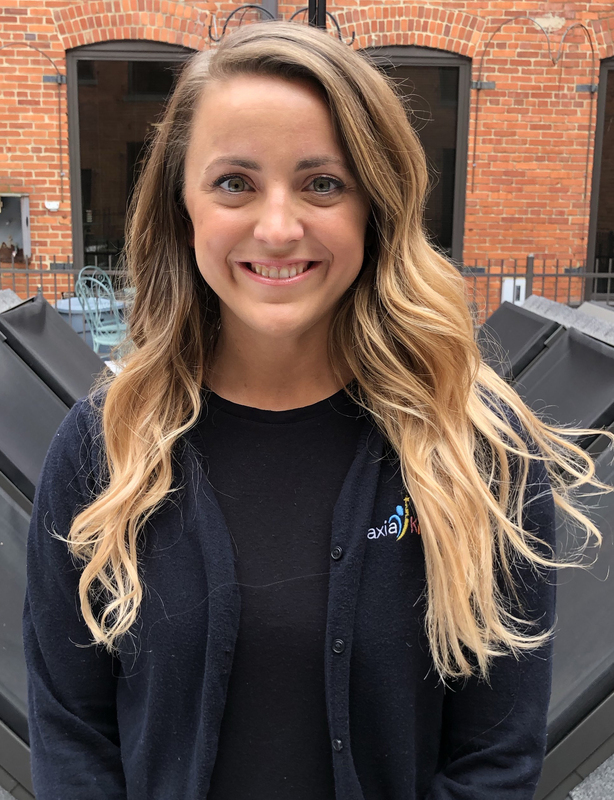 She works on our Development Team as Donor Relations Manager, connecting with donors across the country. Her work expands our fundraising initiatives and donor recognition efforts. Heidi joins Apraxia Kids from a background in technology and education. Her role encompasses database management and implementation, oversight of donation entry, and ad-hoc reporting. Her work focuses on oversight of the current systems and making actionable, innovative, changes to help drive the organization forward. After spending time in the radio and online media industries, Earnie joined Apraxia Kids in 2014. He has worked to develop and implement strategies to help ensure everyone who is searching for information about apraxia of speech has access to it. He oversees marketing initiatives, media efforts, website maintenance, public relations, and email marketing. Kara holds a graduate degree in Marketing Sciences from the Katz Graduate School of Business. Her role at Apraxia Kids is to develop all social media content and manage our online support groups. She works to bring our online community together through thoughtful discussion and necessary support. Allison Breisinger is a junior at the University of Pittsburgh, where she is studying Marketing and Studio Art. She provides support for social media, email marketing, and public relations. 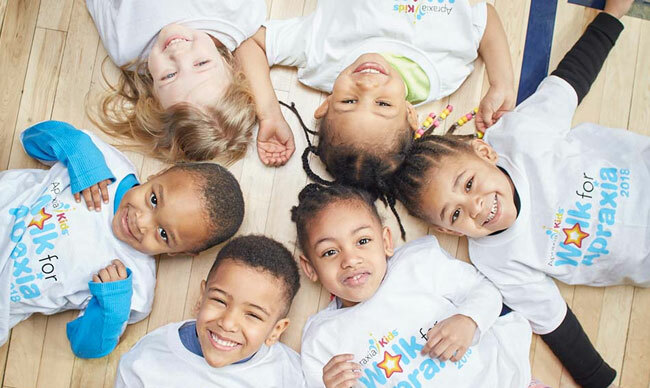 The Apraxia Kids Board of Directors is comprised of a group of volunteer leaders who share a passion for the vision and mission of the organization. 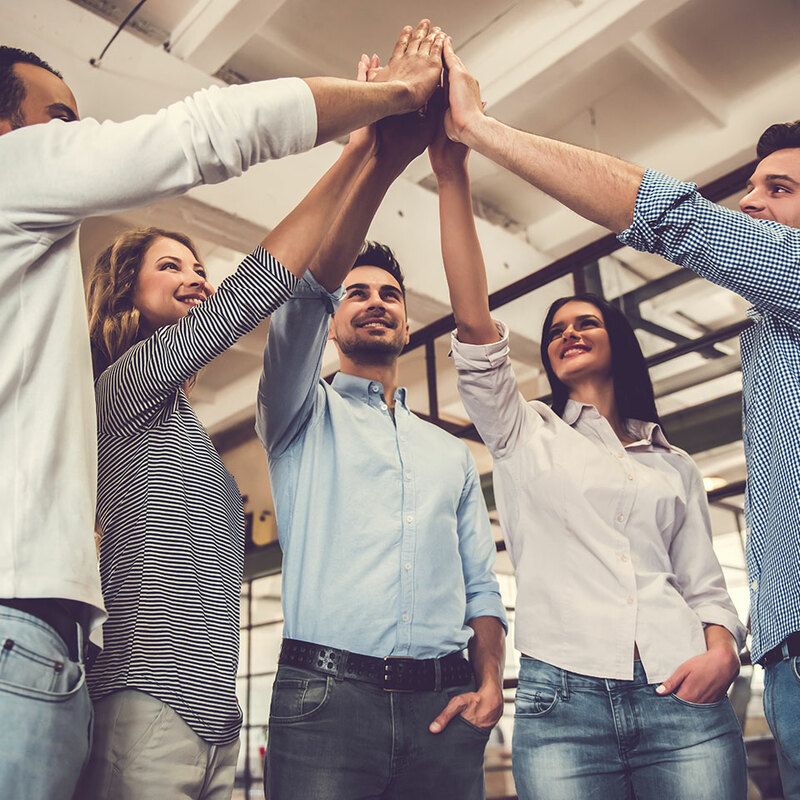 They are responsible for defining the organization’s mission and purpose, establishing long-term goals and strategic planning, monitoring general operations, and approving organizational outcomes and allocation of resources. 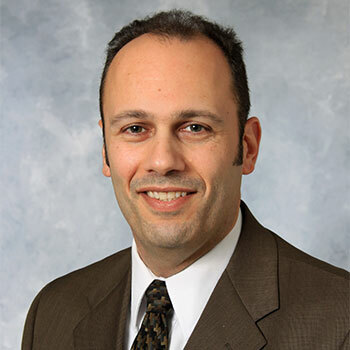 Claudio Capone is the Regional VP of Business Development and Strategic Planning for the newly formed Trinity Health – New England ministry, currently a three hospital system in Southern New England. He is responsible for managing the creation and execution of strategic business initiatives for the region. 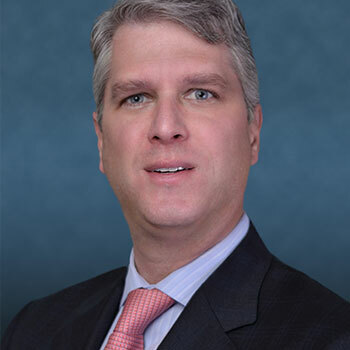 He has extensive experience in strategic planning, business development and physician relations having served as the director of these programs at Saint Mary’s Health System in Waterbury Connecticut and at The Hospital of Central Connecticut, a member of Hartford Healthcare. He has worked on affiliation strategies, ambulatory development, physician alignment strategies, service line development and creating innovative tactics to meet today’s healthcare demands. He holds a Masters in Healthcare Management and Bachelors in Political Science. Claudio is currently a fellow of the American College of Healthcare Executives, active with the CT ACHE chapter and serves on the Board of Directors of the New England Society for Healthcare Strategy. 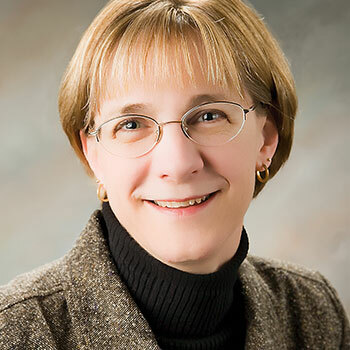 Ruth Stoeckel, PhD, CCC-SLP is a speech-language pathologist at the Mayo Clinic in Rochester, MN and specializes in the assessment and intervention of children with apraxia of speech. With 30 years of experience, Dr. Stoeckel has delivered services to children in schools, outpatient clinics, and rehabilitation hospital settings. She is often asked to render 2nd opinions on CAS diagnosis, prognosis, and treatment progress. 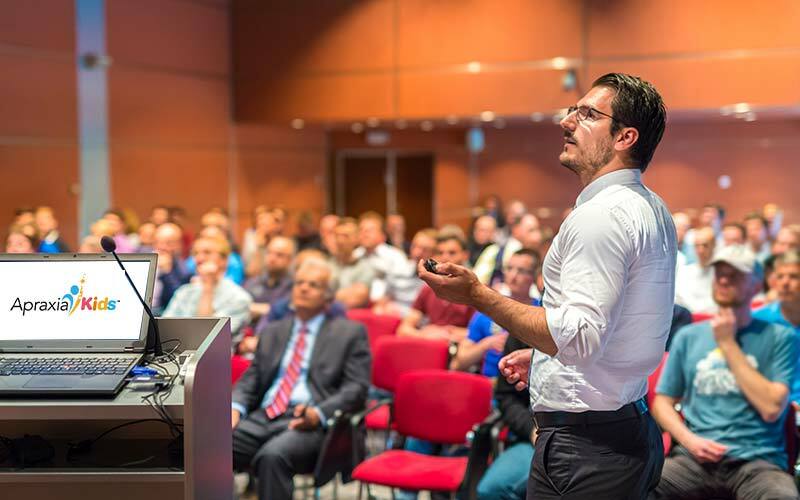 Dr. Stoeckel has presented lectures, workshops and advanced training on Childhood Apraxia of Speech on an international level, including the United States, Canada, and Australia. 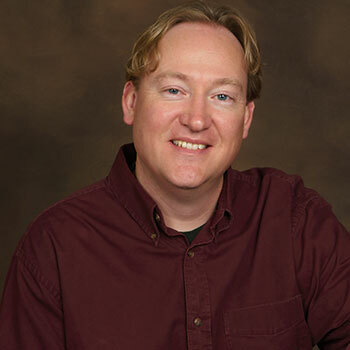 Additionally, Dr. Stoeckel has authored and delivered numerous web-based courses focused on CAS. She has co-authored articles on CAS assessment and treatment in numerous peer-reviewed journals. Stephanie Fera is an associate practicing in the firm’s public sector labor, employment, and municipal group. Prior to joining CFWW+S, Stephanie was employed by other Pittsburgh law firms handling civil litigation and labor and employment matters. In the course of her practice, she has successfully represented clients in a variety of matters in the Pennsylvania state and federal courts. She has counseled clients relating to discrimination and harassment claims, wrongful termination, and policies and procedures of employment. She has represented counties and municipal clients in grievance arbitration, collective bargaining, interest arbitration, and unemployment compensation matters. Stephanie obtained her law degree from the University of Pittsburgh School of Law. While there she served as executive editor of the University of Pittsburgh Law Review. She also served as a teaching assistant in legal writing. Prior to law school, she obtained her undergraduate degree from Indiana University of Pennsylvania and spent several years in retail management where her role involved various human resource functions and responsibilities. That experience prompted her interest in practicing labor and employment law. 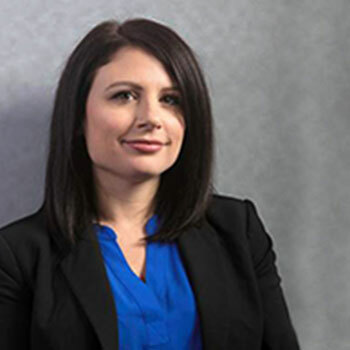 Stephanie was named a Pennsylvania Super Lawyers Rising Star in 2017 and 2018. 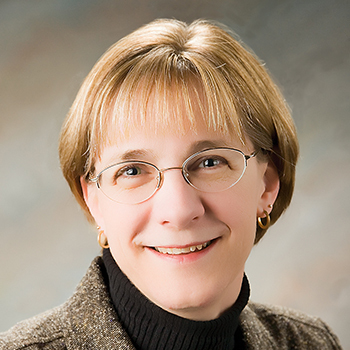 Sue Freiburger is a Board Member of Apraxia Kids and the parent of a child with severe Childhood Apraxia of Speech. She has a background in scientific research, with an MSPH from UNC Chapel Hill and she currently works as an environmental consultant doing human health risk assessment for Jacobs. Sue attended the first Apraxia Kids National Conference in 2002 and was impressed with the high quality, research based information that the organization presented. As her son’s apraxia began to improve with intensive speech therapy, Sue wanted to give back to the organization that had helped their family so much when he was first diagnosed. 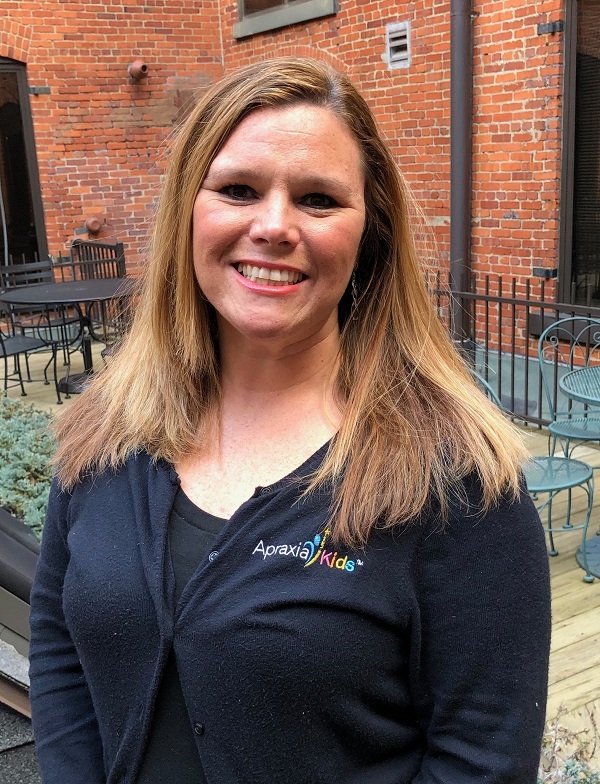 She coordinated the first Apraxia Walk in Pittsburgh in 2008 and, when other parents around the country expressed the desire to help spread awareness, she developed the apraxia walk program. She is proud of all of our Apraxia Stars and grateful to the many volunteers who give so much of their time and talent to make the Apraxia Walks special events that celebrate our children each year. Mr. Mills holds a B.S. degree in Mathematical Economics from the United States Military Academy at West Point and an M.B.A from the University of Chicago Booth School of Business. After graduating from the United States Military Academy, Mr. Mills served in the United States Army as an aviation officer. 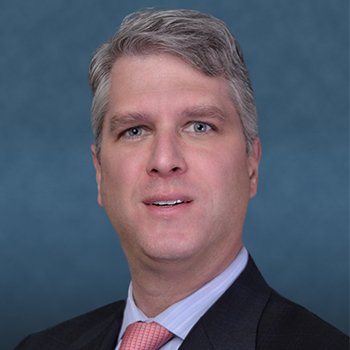 Prior to joining RCF in May, 2016, Mr. Mills held positions in various fundraising and client services, including most recently as Managing Director at Brooklands Capital Strategies, a division of TPG and Ares Management. Prior to Brookland Capital, he was the Head of Investor Relations and Marketing at Oak Hill Capital, and started in the industry with Probitas Partners. Sarah White is a nonprofit consultant with over 15 years of experience working in finance, administration, development, and communications for social service, health care, higher education, and other nonprofit organizations. Her experience and MBA in Nonprofit Management give Sarah a unique perspective on how each aspect of a nonprofit – from program service delivery and website development, to technology and human resources (and everything in between) – impacts an organization’s bottom line and its ability to accomplish its mission. Sarah is also fluent in Spanish and has experience living and working in Mexico. Sarah is a native Texan where she lives with her husband and daughter who has Childhood Apraxia of Speech. In her free time, Sarah enjoys reading, volunteering, and traveling. Alyson is a graduate from Emory University with a degree in Political Science and Spanish. She was a former child with Apraxia and now serves as an adult advocate. Understanding the firsthand struggles, she is dedicated to apraxia awareness and assisting families facing the disorder. She enjoys attending and speaking at Apraxia Kids Events, as well as writing her next Apraxia-related blog post. She previously volunteered with Girl Scouts of America as a Troop Leader and Girl Scout Gold Award Committee Member. In her free time, she loves reading, going to the movies, and watching the San Francisco 49ers hopefully winning a game. Mark Conroe grew up as the second of 4 children; his dad was in the military. He attended West Point for 2 years and then transferred to Stanford University where he received a BS and MS in Civil Engineering. He was a varsity athlete in college (tennis player) and worked with kids while attending college. After working for 2 years, he then went back to get his MBA at Stanford University. Upon graduation in 1985, he has spent the past 33 years working for both regional and national real estate development companies. He has managed companies which built billions of dollars of projects (as the President, CEO, managing partner). He has built several companies from ground up, growing one to 75 employees and another to 50 employees. He has built real estate projects throughout the US (in 30 cities). He has built and managed his own firm for the past 18 years. He has been married for almost 10 years and has two boys, ages 7 and 8. His 8-year-old has apraxia. He was diagnosed at 2 years old. He attended many therapy sessions for speech, fine motor and gross motor skills until he was about 5 years old. He still has some issues but overall has done exceptionally well in working with his apraxia. A board member of Apraxia Kids since 2013, Lincoln Purdy is a Vice President with Starr Marine, a division of the Starr Indemnity & Liability Company. 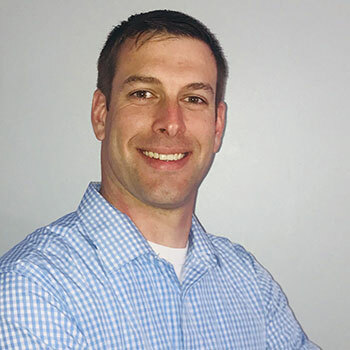 Based in Boston, he currently serves as the worldwide product manager for Starr’s Marine Liability and Hull insurance practices. Lincoln graduated from Trinity College in Hartford, CT where he met his wife, Nancy. They reside in Franklin, MA with their two children. Their daughter, now a proud college graduate, was diagnosed with CAS at age 3 and it was while doing on-line research to find help for her that Lincoln first became aware of Apraxia Kids. Lou LaVecchia joined Apraxia Kids as a board member in 2016. His son Jayden was diagnosed with severe Apraxia of speech at 4 years old, presently Jayden has been declared resolved. Lou has a proven record of working with his school district to improve the appropriate services for children in need of speech services. He has presented seminars at the 2017 & 2018 Apraxia Kids National Conference. He works to raise awareness through local events, including attending walks for Apraxia. Lou achieved a Bachelor of Science in Business Management and Organization from the University of Central Connecticut. He currently is the vice president of All Seasons Landscaping Inc. (ASL) a construction company located in Connecticut. There he is responsible for coordinating and directing all field operations as well as managing all administrative operations. Sue Freiburger is a Board Member of Apraxia Kids and the parent of a child with severe Childhood Apraxia of Speech. 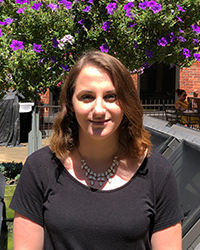 She has a background in scientific research, with an MSPH from UNC Chapel Hill and she currently works as an environmental consultant doing human health risk assessment for Jacobs. Sue attended the first Apraxia Kids National Conference in 2002 and was impressed with the high quality, research based information that the organization presented. As her son’s apraxia began to improve with intensive speech therapy, Sue wanted to give back to the organization that had helped their family so much when he was first diagnosed. 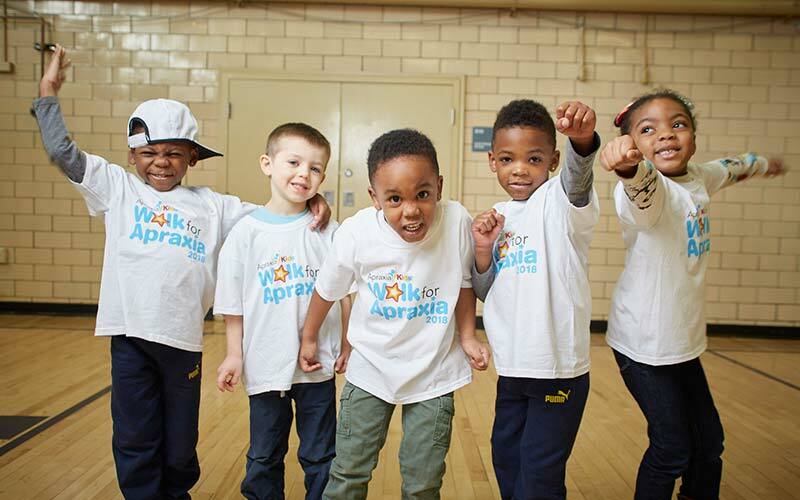 She coordinated the first Apraxia Walk in Pittsburgh in 2008 and, when other parents around the country expressed the desire to help spread awareness, she developed the apraxia walk program. She is proud of all of our Apraxia Stars and grateful to the many volunteers who give so much of their time and talent to make the Apraxia Walks special events that celebrate our children each year. has experience living and working in Mexico. Sarah is a native Texan where she lives with her husband and daughter who has Childhood Apraxia of Speech. In her free time, Sarah enjoys reading, volunteering, and traveling. 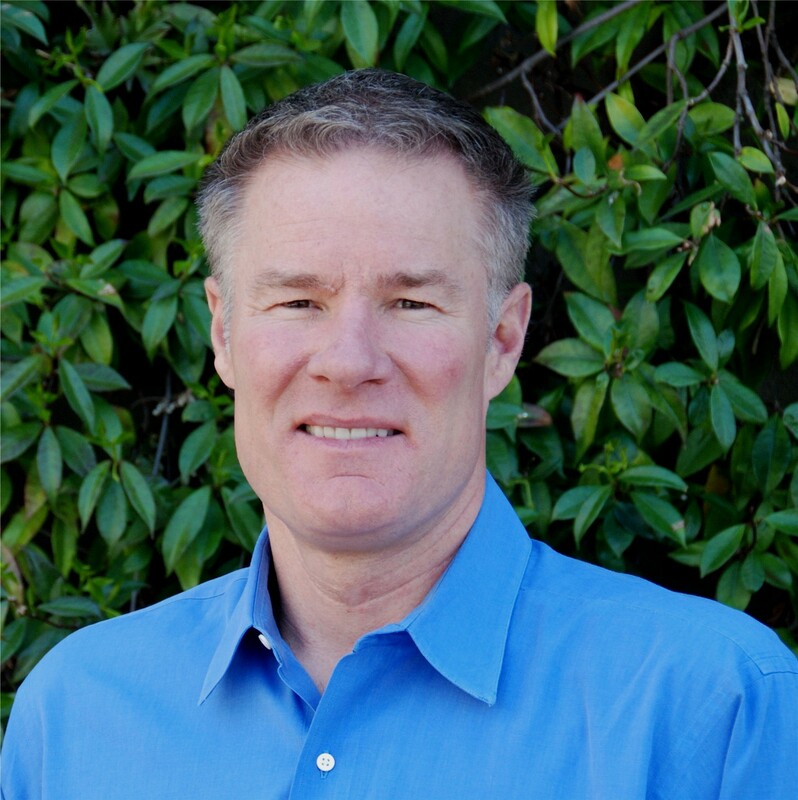 A board member of CASANA since 2013, Lincoln Purdy is a Vice President with Starr Marine, a division of the Starr Indemnity & Liability Company. 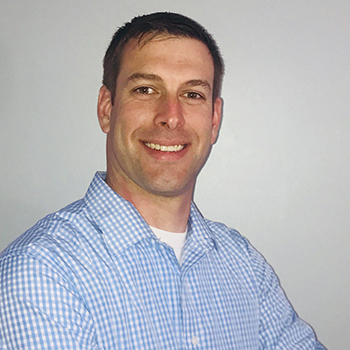 Based in Boston, he currently serves as the worldwide product manager for Starr’s Marine Liability and Hull insurance practices. Lincoln graduated from Trinity College in Hartford, CT where he met his wife, Nancy. They reside in Franklin, MA with their two children. Their daughter, now a proud college graduate, was diagnosed with CAS at age 3 and it was while doing on-line research to find help for her that Lincoln first became aware of CASANA. Stephanie Fera is an associate practicing in the firm’s public sector labor, employment, and municipal group. Prior to joining CFWW+S, Stephanie was employed by other Pittsburgh law firms handling civil litigation and labor and employment matters. In the course of her practice, she has successfully represented clients in a variety of matters in the Pennsylvania state and federal courts. She has counseled clients relating to discrimination and harassment claims, wrongful termination, and policies and procedures of employment. She has represented counties and municipal clients in grievance arbitrations, collective bargaining, interest arbitrations, and unemployment compensation matters. National Conference. He works to raise awareness through local events, including attending walks for Apraxia. These are among the most esteemed therapists and researchers in the CAS community. From helping with research funding decisions to making suggestions for website content, they provide support to Apraxia Kids in many valuable ways. 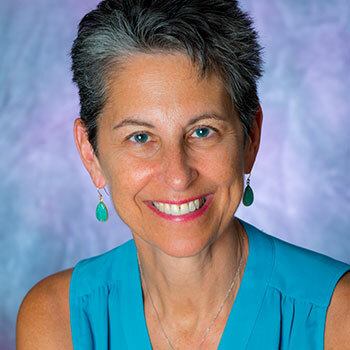 Dr. Shelley Velleman’s educational and professional experience has been extensive and varied, with a common theme of speech production in children. Her PhD from the University of Texas at Austin (1983) is in Linguistics, with a specialization in child phonology (speech development). She has one master’s degree in Applied Linguistics (teaching English as a second language) from the University of Wisconsin-Madison (1978) and one in Communication Disorders/Speech-Language Pathology from the University of Massachusetts (1985). 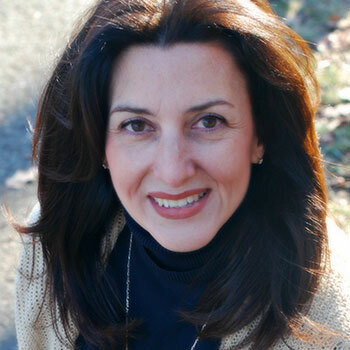 She has many years of pediatric clinical experience as well as many years of teaching as a tenure system faculty member at the undergraduate and graduate levels at Elms College in Chicopee, MA and at the University of Massachusetts – Amherst, where she was an associate professor of communication disorders from 2005- 2011. Dr. Velleman’s research focuses on speech sound development in typically-developing (TD) children and in children with disorders. Her studies of TD children have focused on how the language or dialect of exposure affects the process of learning to talk, including such languages as English, French, Japanese, Finnish, and Welsh as well as the African American English dialect. With respect to disorders, she specializes in motor speech disorders, especially Childhood Apraxia of Speech. She seeks to identify and remediate the motor speech, phonological, and literacy difficulties associated with neurodevelopmental syndromes, such as autism spectrum disorders, Down syndrome, Williams syndrome, and 7q11.23 Duplication syndrome (which was just identified in 2004). Amy is a treatment clinician and CARES representative at Children’s Hospitals and Clinics of Minnesota. 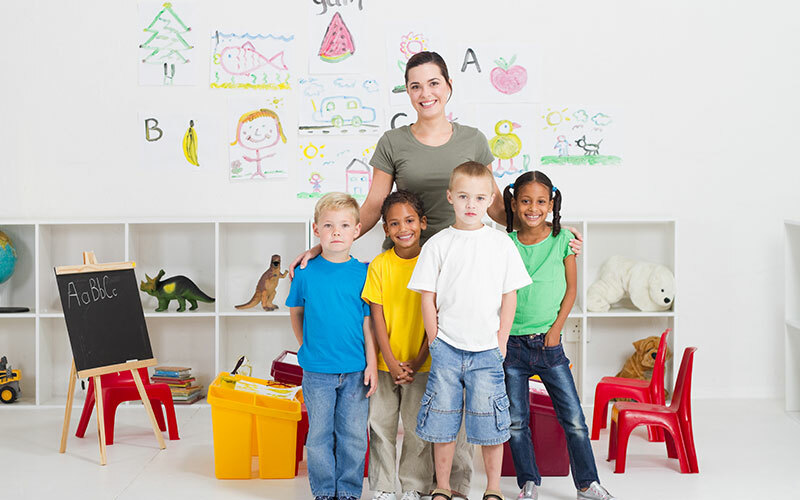 She has extensive experience working with children with developmental delays, motor speech disorders, autism spectrum disorders, and language disorders. She holds her Certificate of Clinical Competency and is licensed in Minnesota. She has been responsible for providing supervision for other speech-language pathologists and graduate students. In addition to PROMPT training, she has post graduate training and experience in auditory processing, Fast ForWord, Relationship Development Intervention (RDI), childhood apraxia of speech, and feeding. Past experience included work with adults and junior high school students. Amy has a special interest in motor speech disorders. 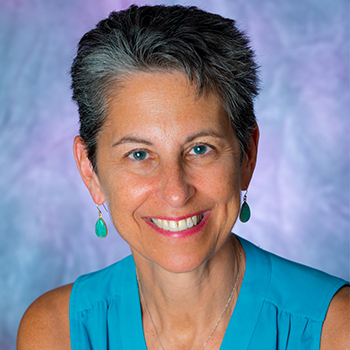 Elaine Dolgin-Lieberman, MA, CCC-SLP, is a pediatric speech language pathologist working in private practice, with special interest in treating children with motor speech sound disorders. She is a graduate of CASANA’s Intensive Training Institute (Boot Camp) 2011 and is recognized by CASANA as having Advanced Training and Clinical Expertise in Childhood Apraxia of Speech. 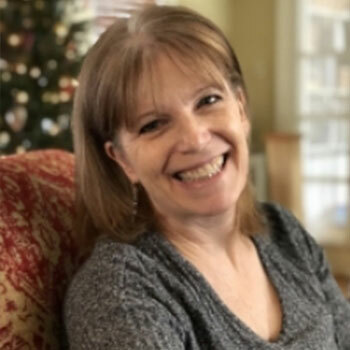 Elaine is a graduate supervisor and Professional Instructor in the Graduate Communication Disorders Program at Mercy College in Dobbs Ferry where she teaches an annual summer elective on Childhood Apraxia of Speech. Elaine has provided workshops on evidenced- based therapy strategies locally and at CASANA National Conferences. Elaine is a member of the Professional Advisory Council. 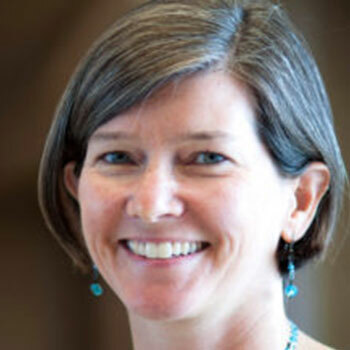 Christina Gildersleeve-Neumann, PhD, CCC-SLP is Professor and Chair of the Speech and Hearing Department at Portland State University in Portland, Oregon. Her areas of expertise include severe speech sound disorders in monolingual English and bilingual Spanish-English children. 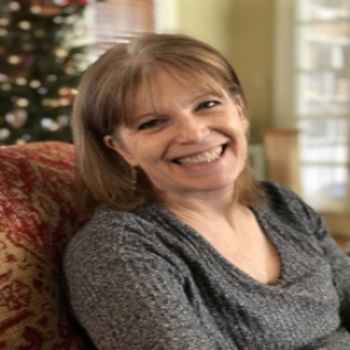 She has been working with children and adolescents with severe speech sound disorders since Kathy supervised her in graduate school 22 years ago! 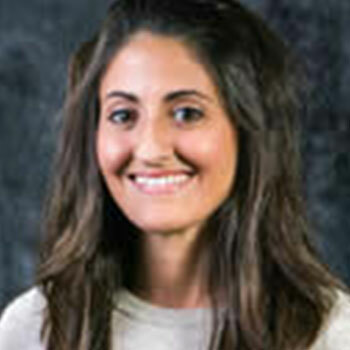 Her research explores articulatory and phonology influences on speech development and disorder in children from monolingual and bilingual environments and includes intervention research for severe speech sound disorders, including Childhood Apraxia of Speech, in English and Spanish-English children. Core to all of her work is understanding and application of phonetic science and phonetic transcription. She has been teaching phonetics for over 20 years. In her spare time she loves traveling and listening to other languages, especially figuring out what people do in their vocal tract to produce different sounds, as well as how listeners categorize those sounds in language-specific ways! Maria Grigos is an Associate Professor in in the Department of Communicative Sciences and Disorders at New York University’s Steinhardt School of Culture, Education, & Human Development. Dr. Grigos is director of the Communicative Sciences and Disorders masters program and directs the Motor Speech Laboratory at NYU. Her scholarly work uses kinematic, acoustic and perceptual methods and pursues two lines of research. The first examines speech motor development in children with speech sound disorders, which includes studying the efficacy of speech intervention for children with apraxia of speech. The second examines changes in speech production and facial movement in adults following facial transplant surgery, together with an interdisciplinary team from the NYU Langone Health System. Funding from the National Institutes of Health, NYU Steinhardt and Apraxia-Kids has supported her research. Dr. Grigos holds clinical certification from the American Speech, Language and Hearing Association, and is licensed in speech-language pathology in New York State. Dr. Grigos earned a Bachelor of Science from New York University, and both a Master of Science and Doctor of Philosophy from Teachers College, Columbia University. Dr. Iuzzini-Seigel received her B.F.A in Studio Art and Socio-Cultural Anthropology at SUNY at Binghamton and her M.A. and Ph.D. in Speech and Hearing Science at Indiana University-Bloomington. She joined the faculty at Marquette University in the fall of 2015. Dr. Iuzzini-Seigel’s research centers on speech development and its disorder with specific focus on Childhood Apraxia of Speech. She is the Director of the Communication, Movement, and Learning Lab where she aims to identify factors that contribute to disorder onset and resolution for children with communication disorders. Her current research takes a multilevel approach to determine the relation among procedural learning and speech, language, and motor deficits in children with Childhood Apraxia of Speech. Dr. Iuzzini-Seigel is also interested in communication and motor performance in bilingual individuals, including bilingual children with communication disorders. Edwin Maas received a masters degree in neurolinguistics from the University of Groningen (the Netherlands), and worked as a clinical linguist at the Rotterdam Aphasia Foundation before pursuing his Ph.D. in language and communicative disorders from San Diego State University and the University of California, San Diego. His early research focused on verb and sentence processing in aphasia and basic mechanisms of sentence comprehension. His interest in treatment research led him to shift focus to speech production and its disorders. To supplement his background and training in neurolinguistics, he obtained postdoctoral training at Boston University and the Massachusetts Institute of Technology with a focus on speech motor control. He joined Temple University’s Department of Communication Sciences and Disorders in 2015. As Co-Director of the Speech, Language, and Brain Laboratory (SLAB Lab), he conducts research on speech production across the lifespan in unimpaired individuals and in various populations with speech and/or language disorders, such as aphasia, apraxia of speech, and phonological disorders. Rebecca received a B.S. (Psychology, 1973) from Louisiana State University, and an M.A. (Social Sciences, 1974) and Ph.D. (Psychology: Cognition and Communication, 1981) from the University of Chicago. 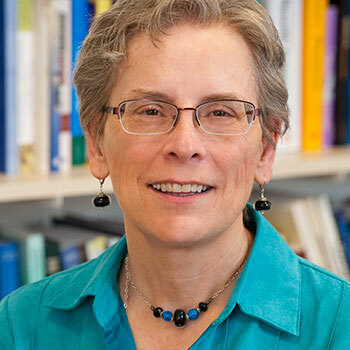 She completed postdoctoral training at the University of Arizona and Johns Hopkins University before joining the faculty at University of Vermont in 1986. 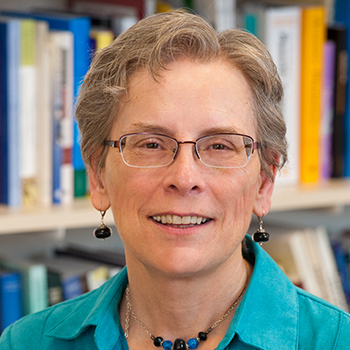 During her 23-year tenure at UVM, she achieved the rank of Professor and served in several administrative capacities. In 2008, Rebecca joined Ohio State at the rank of Professor and since 2009 has served as chair of the Graduate Studies Committee. Her research/teaching interests focus on assessment and treatment of children’s communication disorders, especially speech sound disorders. She has authored and co-edited numerous publications, including 6 books, and is director of the Children’s Communications Laboratory. Rebecca holds the ASHA CCC-SLP, is an ASHA Fellow, a Board Recognized Specialist in Child Language, and a former associate editor of AJSLP. 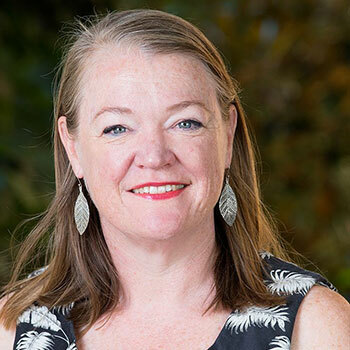 Dr Tricia McCabe CPSP is Head of Discipline and Professor of Speech Pathology in the Faculty of Health Sciences at The University of Sydney. She has published 75 peer reviewed journal articles, supervised more than 20 research students, and has had $3.6 million in research grants. Tricia’s research, teaching and clinical practice are all focussed on improving treatments for moderate-severe speech impairments in children and adults. In particular, she wants to improve treatments for children with Childhood Apraxia of Speech and this has resulted in the two Randomised Control Trials comparing different interventions in this population. With a team of colleagues, she has developed the Rapid Syllable Transition Training intervention (ReST), a novel intervention which uses drill practice of non-words to improve the motor planning skills. This treatment has been shown to be effective in both face to face and telehealth service delivery. In 2017, a free internet based training program for clinicians in ReST was funded by The Ian Potter Foundation and this training will provide many more children with access to this innovative treatment. Tricia is also interested in the application of EBP in speech pathology, service delivery innovations and professional voice user training. 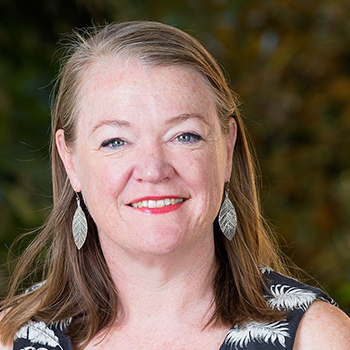 Tricia maintains a small private practice in Sydney providing second opinion assessments and treatment to children and adults with speech disorders. Tricia tweets as @tricmc on speech pathology topics and baking. 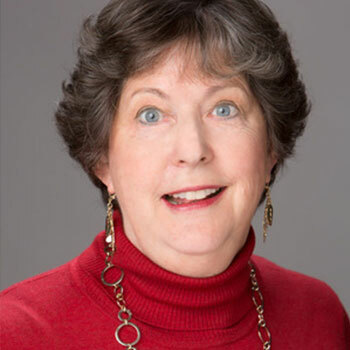 Margaret (Dee) Fish is a speech-language pathologist working in private practice in Northbrook, IL, with 35 years experience as a pediatric SLP. Her primary professional interests are in the areas odf children’s speech sound disorders, language disorders, and social language development. Margaret is the author of the book, Here’s How to Treat Childhood Apraxia of Speech, now in its Second Edition. She is a frequently-invited speaker at local, state, and national workshops. Her workshops and writing focus on providing practical, evidence-based ideas to support clinicians working with children with CAS. See serves on as a Topic Area Advisor for SpeechPathology.com in addition to her role on the Professional Advisory Council for Apraxia Kids. Dr. Megan Overby, an Associate Professor at Duquesne University, specializes in childhood apraxia of speech (CAS), speech sound disorders, literacy, and telepractice. She has over 20 years of experience as a speech-language pathologist in schools, hospitals, agencies, and university clinics in addition to having maintained a private practice. Dr. Overby’s research in CAS has focused on potential early red flags of the disorder, its social consequences, and associations between CAS and literacy development. In addition, she was the primary investigator in a grant-funded study of the home language environment of young children with CAS. She presents regularly at conferences and workshops on assessment and literacy topics related to CAS and has published her research in multiple journals and textbook chapters. 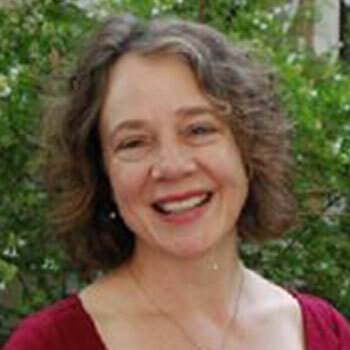 At Duquesne, Dr. Overby teaches courses in speech sound development and assessment. 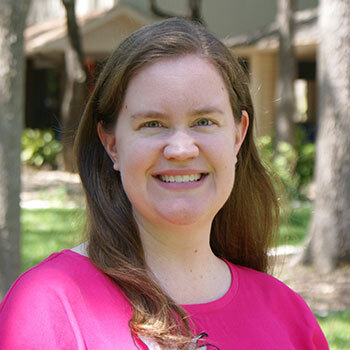 Dr. Amy Meredith’s primary clinical and research interest is in children with motor speech disorders. She has published and presented her research on childhood apraxia of speech (CAS) at national and international conferences. Currently, she is investigating phonological awareness and early reading skills of children with CAS. She is also looking at the role of visual feedback using electropalatography and real-time spectrography in treatment of children with persistent speech sound disorders, including CAS. In 2012, Meredith received a Martin Luther King Jr. Distinguished Service Award for the innovative strategies she uses to educate students, including those from diverse backgrounds, as well as for her dedication to provide services to children with disabilities and their families. Read the full award announcement in the WSU Spokane Campus Bulletin. LEARN MORE about WSU’s Martin Luther King Jr. Distinguished Service Award. Meredith has given numerous workshops for practicing speech-language pathologists across the country on assessment and treatment of CAS. Prior to receiving her doctorate, she worked in the public schools, hospitals, and private practice settings as a speech-language pathologist. 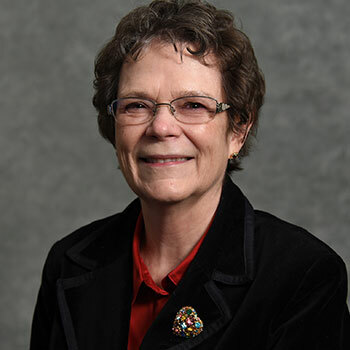 Dr. Edythe Strand is an emeritus Professor in the Mayo College of Medicine and former Head of the Division of Speech Pathology, Department of Neurology at the Mayo Clinic, in Rochester Minnesota. 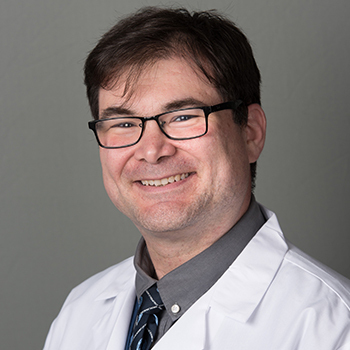 Dr. Strand’s research has focused on developmental, acquired and progressive apraxia of speech, and issues related to intelligibility and comprehensibility in degenerative dysarthria. She has a long history of clinical experience, including the public schools, private practice, and hospital and clinic settings. Her primary clinical and research interests include assessment and treatment of children and adults with neurologic speech and language disorders. Dr. Strand’s publications include many articles and book chapters related to motor speech disorders. 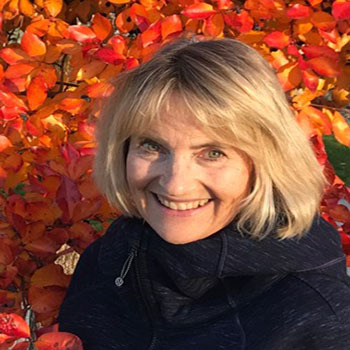 She frequently gives lectures on the assessment and treatment of motor speech disorders in children and adults, management of communication disorders in degenerative neurologic disease, and neuroanatomy. 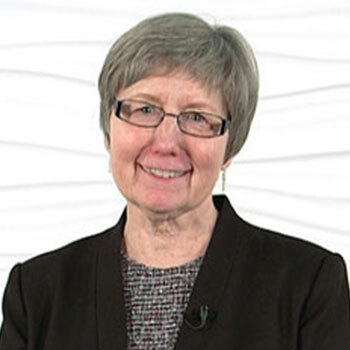 She is the co-author of the books: Management of Speech and Swallowing in Degenerative Disease; Clinical Management of Motor Speech Disorders in Children and Adults; and is Co-editor of the book, Clinical Management of Motor Speech Disorders in Children. She is an ASHA fellow and has recently been awarded Honors of the Association of the American Speech-Language and Hearing Association. 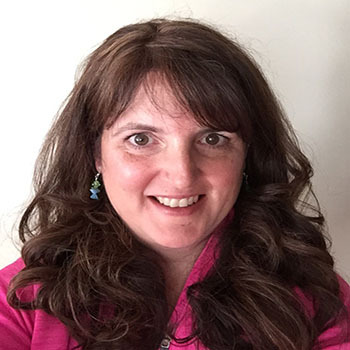 Angela is Director of Research and Teaching in Speech Pathology at The University of Melbourne. 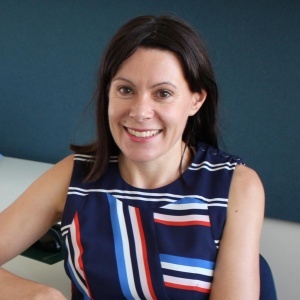 She is also Associate Professor and Director of the Centre for Neuroscience of Speech across The University of Melbourne and the Murdoch Childrens Research Institute, Royal Childrens Hospital, Melbourne, Australia. She has over 15 years of clinical and research experience in pediatric rehabilitation in Australia and the United Kingdom (UK). She gained an international view of pediatric rehabilitation during her post at the Institute of Child Health University College London conjointly with The Childrens Trust Rehabilitation Centre in the UK. 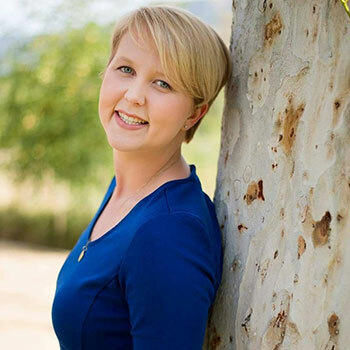 Her current Australian-based NHMRC research program consists of two streams: i) a clinical-research stream focused on rehabilitation of children with acquired brain injury, and ii) a neuroscience stream focused on the neurobiological basis of swallowing and communication disorders in childhood. Dr. Preston is a speech-language pathologist and a clinical researcher. His laboratory at Syracuse University studies neurolinguistically-motivated and evidenced based assessments and treatments for speech sound disorders, including childhood apraxia of speech. 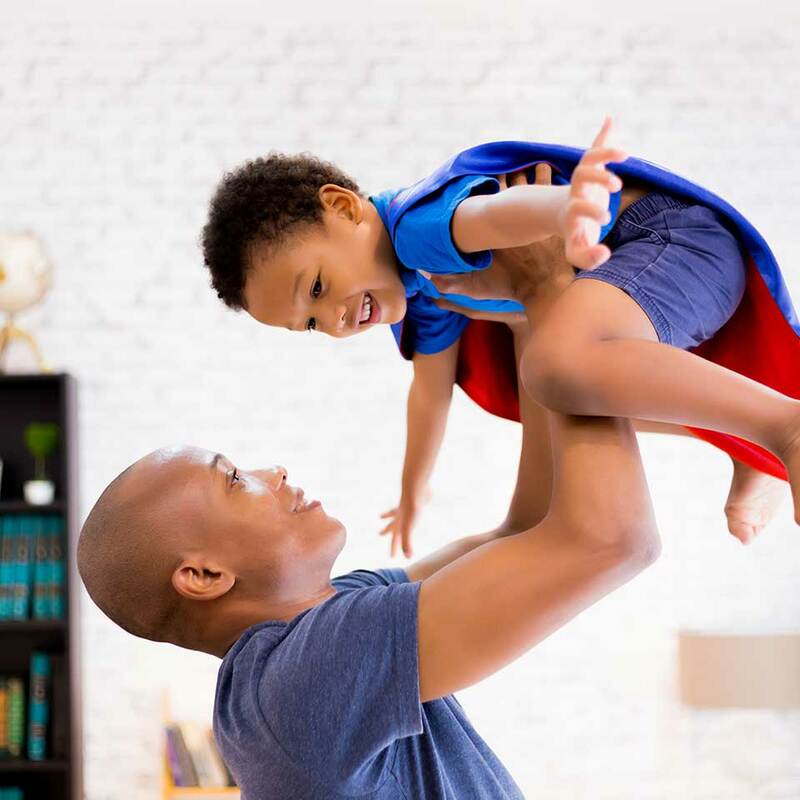 He has received support through the National Institutes of Health to study treatments for childhood apraxia of speech, including variations in service delivery models as well as ultrasound visual feedback. 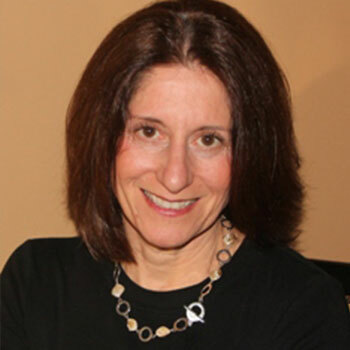 Sue Caspari is an instructor and clinical supervisor in the department of Communication Sciences and Disorders (CSD). 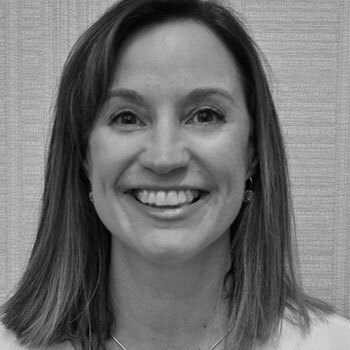 Prior to joining the Temple CSD faculty, Caspari worked as a speech-language pathologist with children and adults in a variety of settings including early intervention, private practice and inpatient and outpatient hospital settings, including the Mayo Clinic. Over the years, she has come to specialize her practice in the assessment and treatment of children with childhood apraxia of speech (CAS). Her specific research interests and publications focus on the early identification and treatment of motor speech disorders, including CAS. 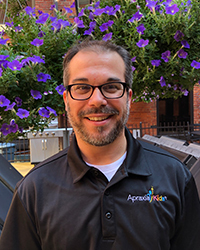 Caspari is a member of the Professional Advisory Council with Apraxia Kids, an associate member of the Academy of Neurologic Communication Disorders and Sciences, and a member of ASHA’s Neurophysiology and Neurogenic Speech and Language Disorders Special Interest Division. She is also the owner of Caspari and Colleagues, LLC, a group of SLPs dedicated to providing consultation, evaluation and therapy services for children with CAS and other severe speech sound disorders; and the director of an intensive 5-week summer program for children with CAS. 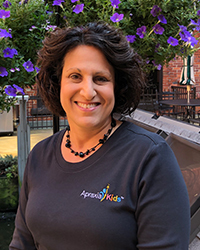 Caspari is an advisory board member of the Childhood Apraxia of Speech Association of North America, an associate member of the Academy of Neurologic Communication Disorders and Sciences, and a member of ASHA’s Neurophysiology and Neurogenic Speech and Language Disorders Special Interest Division. She is also the owner of Caspari and Colleagues, LLC, a group of SLPs dedicated to providing consultation, evaluation and therapy services for children with CAS and other severe speech sound disorders; and the director of an intensive 5-week summer program for children with CAS. Edwin Maas received a Masters degree in neurolinguistics from the University of Groningen (the Netherlands), and worked as a clinical linguist at the Rotterdam Aphasia Foundation before pursuing his Ph.D. in language and communicative disorders from San Diego State University and the University of California, San Diego. His early research focused on verb and sentence processing in aphasia and basic mechanisms of sentence comprehension. His interest in treatment research led him to shift focus to speech production and its disorders. To supplement his background and training in neurolinguistics, he obtained postdoctoral training at Boston University and the Massachusetts Institute of Technology with a focus on speech motor control. He joined Temple University’s Department of Communication Sciences and Disorders in 2015. 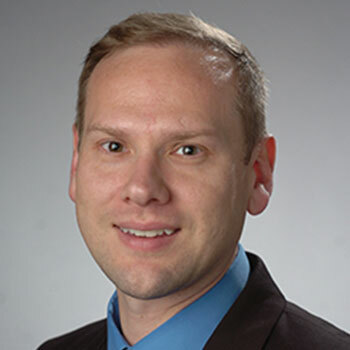 As Co-Director of the Speech, Language, and Brain Laboratory (SLAB Lab), he conducts research on speech production across the lifespan in unimpaired individuals and in various populations with speech and/or language disorders, such as aphasia, apraxia of speech, and phonological disorders. (2) How can we optimize treatment for speech disorders? Apraxia Kids is so fortunate to have amazing supporters and advocates! Read why they choose to support our mission! When you inform even one other person about childhood apraxia of speech, you are making the world a more understanding and compassionate place for children with CAS! Hear from our community members about why raising awareness is important to them! Apraxia Kids relies on the generosity of our wonderful donors to continue supporting children with childhood apraxia of speech. We cannot create a world where every child finds their voice without your help!